The Southern Rural Development Center is pleased to announce that nominations are being sought for the Bonnie Teater Community Development Educator Lifetime Achievement Award for 2016. The following provides specific information regarding this important award and the deadline date for nominations to be received. The award is for superior lifetime work by an individual (not a team) who has made an important contribution to the Extension Community Development (CD) area. The award comes with a $500 stipend. This year’s 2016 joint conference theme, “Building a Path to Resiliency: Uniting Natural Resources & Community Development.” For the first time, National Association of Community Development Extension Professional (NACDEP) and Association of Natural Resource Extensional Professionals (ANREP) are teaming up for a Joint Annual Conference June 26-29, 2016 at the Sheraton Hotel in beautiful and vibrant Burlington, Vermont. Between our memberships, we are anticipating over 350 attendees, providing an excellent opportunity to broaden your Extension Network, present and learn from your peers, and learn from an expanded topic menu. Our Burlington location features an impressive diversity of both established and new, innovative and best practice programs from community and economic development, forestry, water quality, housing, local food, social justice, place making, environmental education, arts and culture, sustainability, public and private initiatives – plus many more. Registration for the conference opens February 15th, 2016. The 2016 National eXtension Conference is about issues, innovation, and impact—both within the Cooperative Extension System and within eXtension itself. In 2015, we began a quest to reinvent eXtension to focus on innovation and professional development and how to bring them together to accelerate Extension professionals’ impact in the communities they serve. Together with our Fellows, Innovation Project awardees and leaders of unique user communities, we created a new initiative—i-Three—to provide more support for Extension professionals seeking professional growth. As much workshop as conference, our 2016 National eXtension Conference showcases the knowledge, energy, and commitment to innovation of Extension professionals system wide. The Farm Business Management and Benchmarking (FBMB) Competitive Grants Program provides funds to (1) improve the farm management knowledge and skills of agricultural producers; and (2) establish and maintain a national, publicly available farm financial management database to support improved farm management. Deadline for application is due April 11, 2016. Communities interested in using broadband service to help revitalize small-town main streets and promote economic development are encouraged to apply for Cool & Connected, a pilot program sponsored by USDA Rural Utilities Service and the U.S. Environmental Protection Agency Office of Sustainable Communities. Through Cool & Connected, a team of experts will help community members develop strategies and an action plan for using planned or existing broadband service to promote smart, sustainable community development. Quality broadband access can provide new opportunities for people and businesses. A growing number of communities have combined broadband service with other local assets such as cultural and recreational amenities to attract and retain investment and people, including young people. This can help diversify local economies. Such efforts typically require planning among community leaders, businesses, and internet service providers. The Cool & Connected program will provide assistance to this end, helping communities take advantage of new or existing broadband service to create walkable, connected, economically vibrant main streets and small-town neighborhoods. University of Missouri Extension regional specialists provide collaborative leadership and subject-matter expertise to develop, deliver and evaluate educational programs focused on improving lives, communities and economies. In general, regional specialists provide educational opportunities that enable businesses, farms, families and communities to strengthen the economy and enhance quality of life. This position is responsible for planning, implementing and evaluating educational programs in the following subject-matter areas: community economic development, capacity assessment, community and organizational planning and decision making, regional development, leadership and civic engagement, community partnerships, local government, community emergency management, public policy issues identification and framing. Our 2016 National eXtension Conference is about issues, innovation, and impact—both within the Cooperative Extension System and within eXtension itself. In 2015, we began a quest to reinvent eXtension to focus on innovation and professional development and how to bring them together to accelerate Extension professionals’ impact in the communities they serve. Together with our Fellows, Innovation Project awardees and leaders of unique user communities, we created a new initiative—i-Three—to provide more support for Extension professionals seeking professional growth. As much workshop as conference, our 2016 National eXtension Conference showcases the knowledge, energy, and commitment to innovation of Extension professionals system wide. 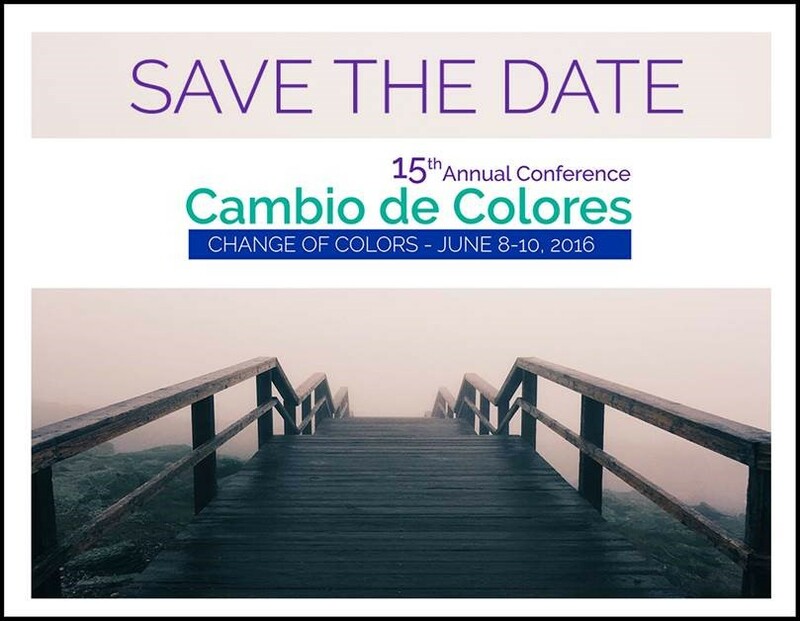 Cambio de Colores is a multistate conference about integration of immigrants in new destinations in the Midwest. It is a professional development opportunity that engages practitioners, researchers, and those working with immigrant communities in sharing experiences and knowledge that facilitate the integration of immigrants in new settlement areas. For the first time, NACDEP and ANREP are teaming up for a Joint Annual Conference June 26-29, 2016 at the Sheraton Hotel in beautiful and vibrant Burlington, Vermont. Between our memberships, we are anticipating over 350 attendees, providing an excellent opportunity to broaden your Extension Network, present and learn from your peers, and learn from an expanded topic menu.